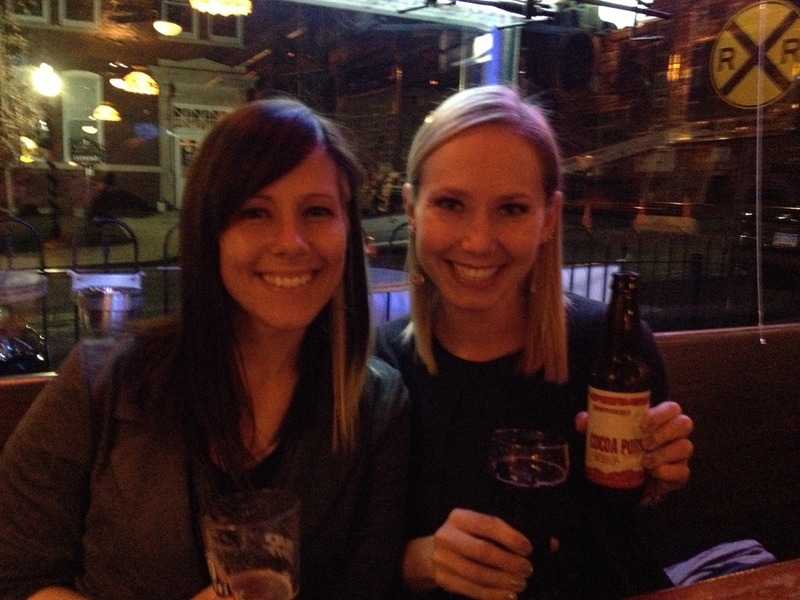 After Thanksgiving dinner, we decided to meet up with Cindy and Frank for some drinks! They live in the next town over, Windber, and we decided to go out there since they always come to town to see us! 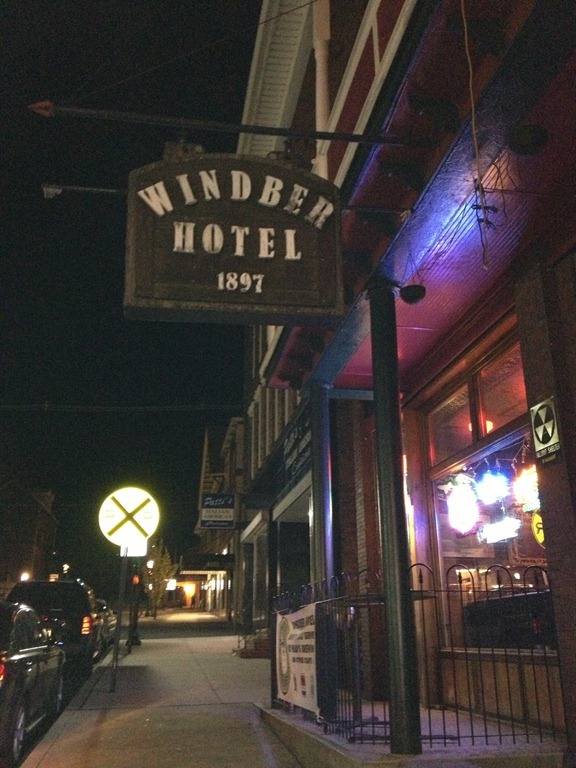 I’ve heard so much about the Windber Hotel and I was excited to finally check it out! It really used to be an old hotel and was built in 1897. 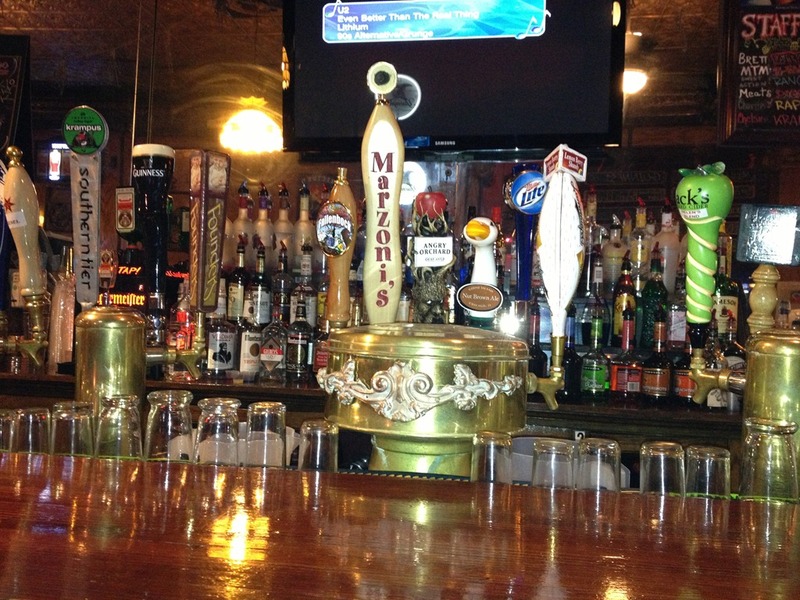 The bar ambiance was awesome. Lots of heavy carved, wood furniture. And a pretty decent beer selection! I’m very excited about winter/ Christmas beers being in season! 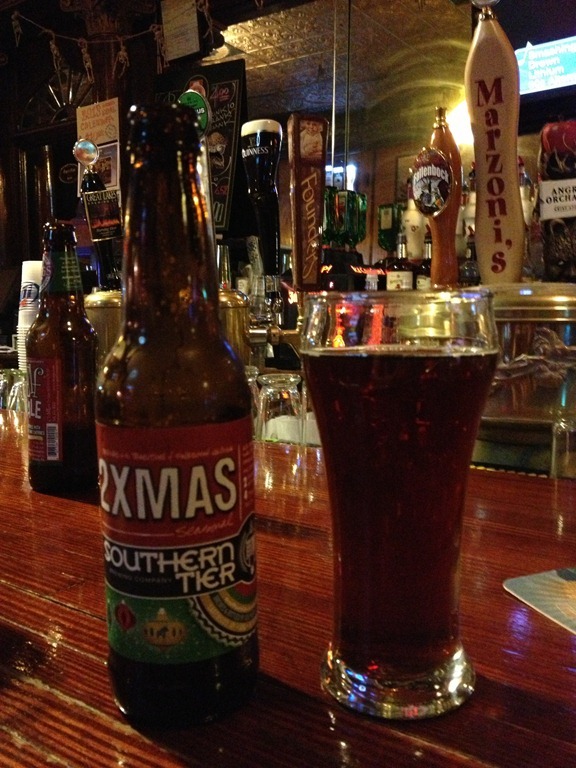 So I started off the night with the 2XMAS by Southern Tier Brewing Company of Lakewood, NY at 8% abv. Nice holiday/ winter spicing. Nutmeg, cloves, caramel. Light citrus, orange peel. Darker fruits, plums and figs. A nice hearty medium mouthfeel. And hints of licorice. Decent, but probably not stand out in this category compared to some of my favorites. But I’ll never turn down a Christmas beer! Later I spied in the beer cooler another beer I’ve never had that seemed promising. The Cocoa Porter by Tommyknocker Brewery of Idaho Springs, Colorado at 5.7% abv. Fairly strong cocoa presence. Somewhat bitter and dry. Not bad though, but not like creamy milk chocolate. Hints of vanilla, and I liked that it did not have a coffee taste to it. Not stand out, but very drinkable. 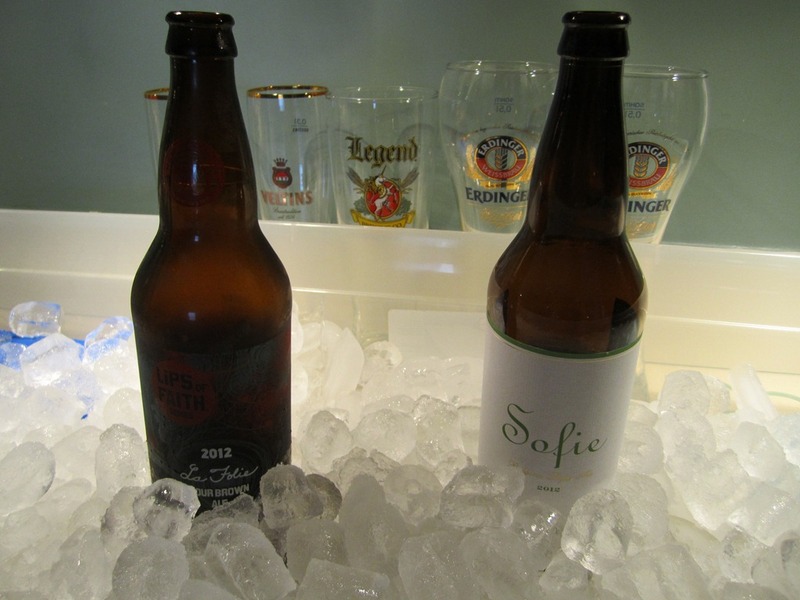 And to finish off the night I decided to go with a lighter beer, the Sofie by Goose Island of Chicago, IL at 6.5% abv. Don’t worry, no beer was spilled! It looks close though the way I’m holding the glass! Quite bubbly! Almost champagne-like. Soft tart citrus flavors. Slightly sour and herbal. Floral and peppery. Such a delightful and refreshing beer. An easy drinking Saison beer but it has enough going on to keep you intrigued. 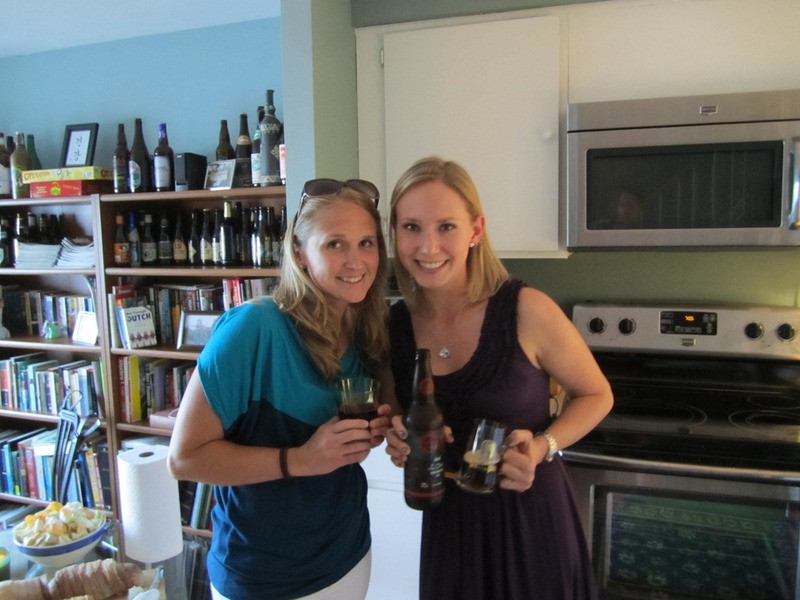 After the last super successful girls night, I decided to throw the next one at my house with beer and cheese tasting. Novak made it over a little early to “help me set up” aka “help me start drinking.” But we opened a few bottles and got the ball rolling! 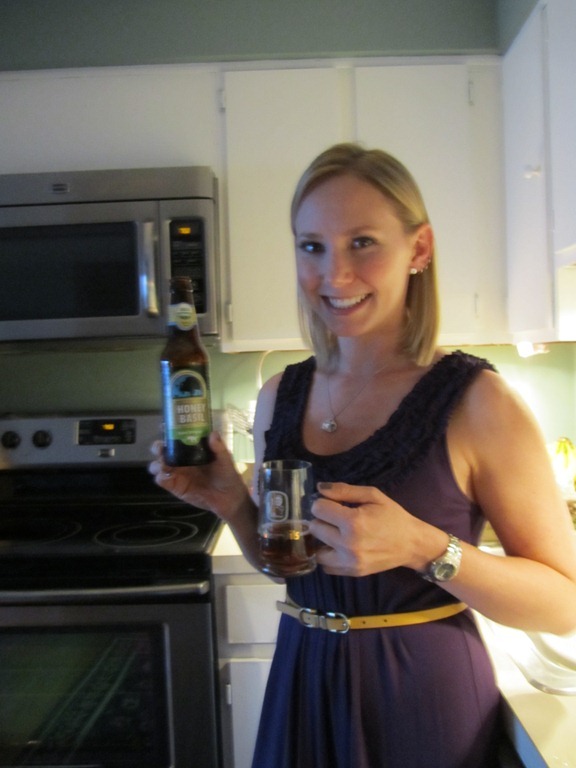 First up, we opened one of the bottles she brought, the Sophie by Goose Island of Chicago, IL at 6.5% abv. Very good! 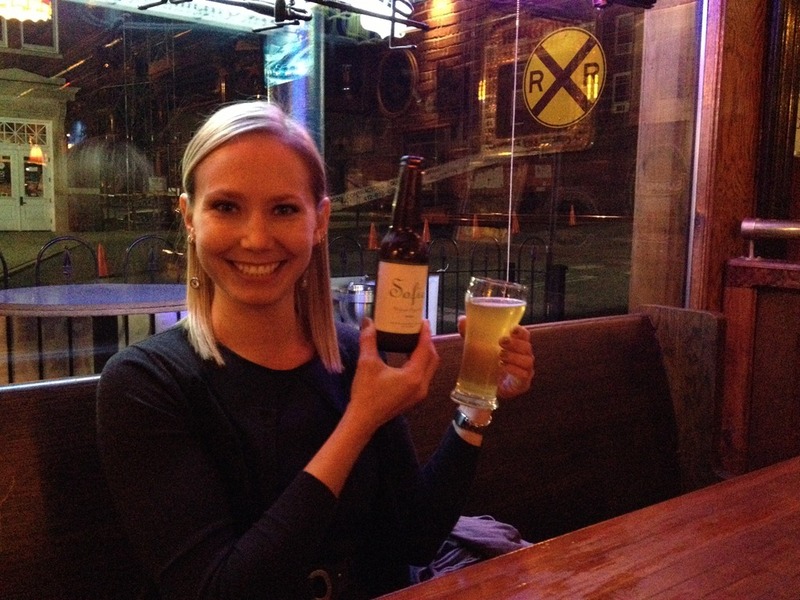 Almost more like white wine than beer, pours a light golden yellow with lots of bubbles. Tangerine, pear, white grapes, Belgian yeasts. Not overwhelming, well balanced and subtle. To get another big bottle opened and started, we tried one of the Lips of Faith Series beers by New Belgium Brewing of Fort Collins, called La Folie Sour Brown Ale at 6% abv. Finally a beer I can get excited about from New Belgium! I’m not such a big fan of their Fat Tire. (Sorry!) This was a very tart and sour ale. Not nearly as complex as the Duchess De Bourgogne (which in my mind is one of the very finest sour ales). So not as complex, full, and rich as the Duchess but still quite tasty. Almost like sour apple candy. Very good in sample sizes, might not be able to drink a full 12 oz. Really makes you pucker! As more ladies showed up we began to have quite a nice selection to choose from! 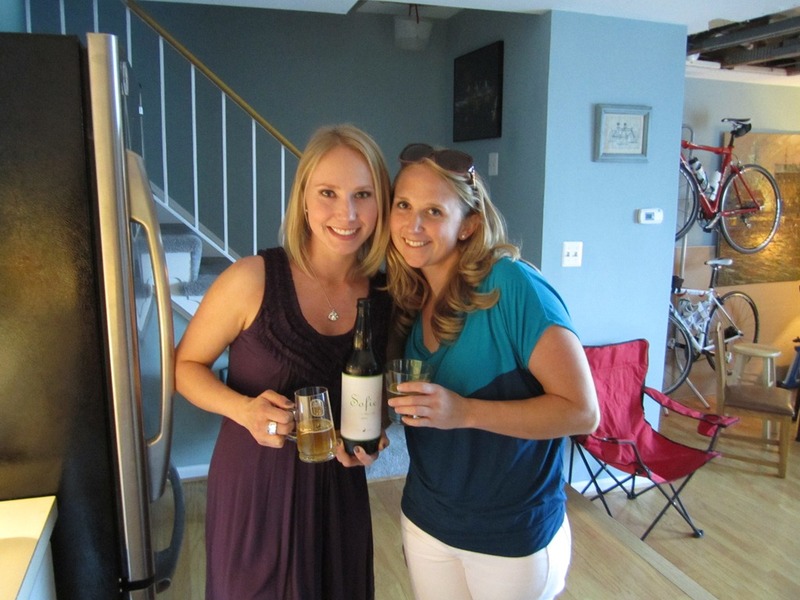 I was concerned with only having a few bottles open at once, to make sure that we were able to finish what we opened. I was having no good beer wasted! Genie brought what may be my favorite beer of the night! 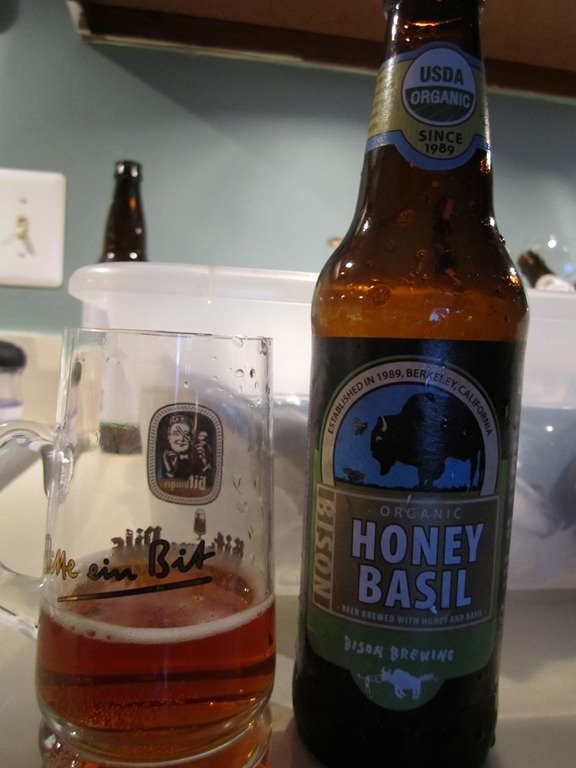 The organic Honey Basil by Bison Brewing Company of Berkley, CA at 6% abv. I was really impressed! You could really taste the basil! Not too faint, but not overpowering. Yet, sweet with the honey. Not to hoppy. Very well balanced and intriguing. 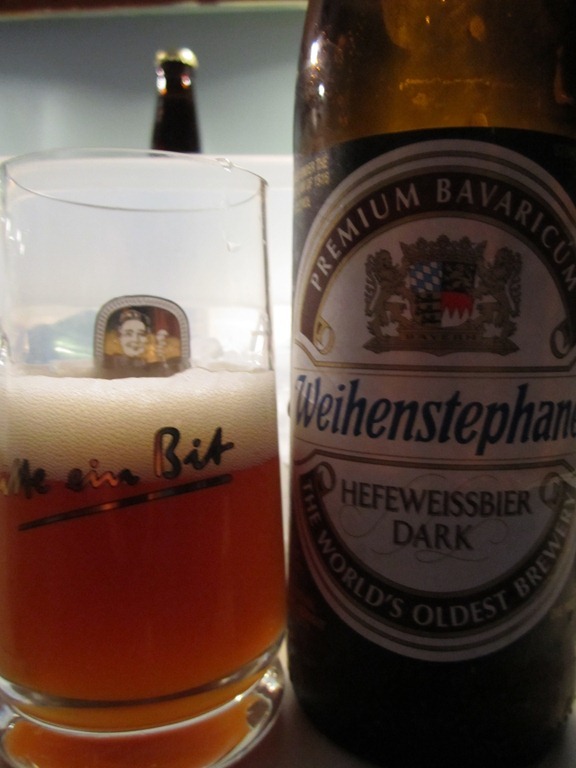 Mixing it up with a little German beer, we opened the Weinstephaner Hefeweissbier Dark by Bayerische Staatsbrauerei Weihenstephan of Germany at 5.3% abv. One of the less exciting beers of the night. Biscuity, mildly sweet, nutty, mild wheat flavor. 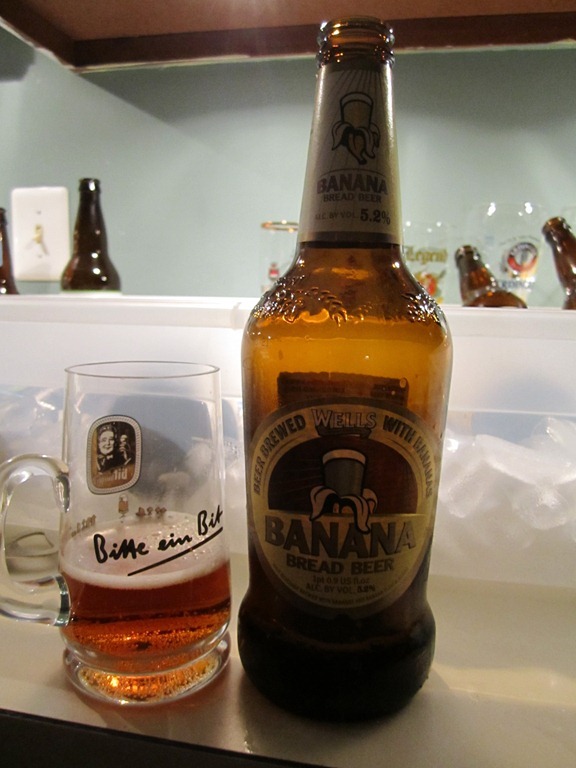 And another incredibly unusual beer was the Banana Bread Beer by Wells & Young’s Brewing of England at 5.2% abv. An odd beer. Ive been hesitant to try it in the past because I was afraid of possible fake banana taste. Sweet and sugary, bready and bananas. Malty enough that the sweetness and bananas don’t overwhelm and kill you. Literally like drinking banana bread. Only had a sample taste, Id have to try it again, I would need to split the bottle with others though. 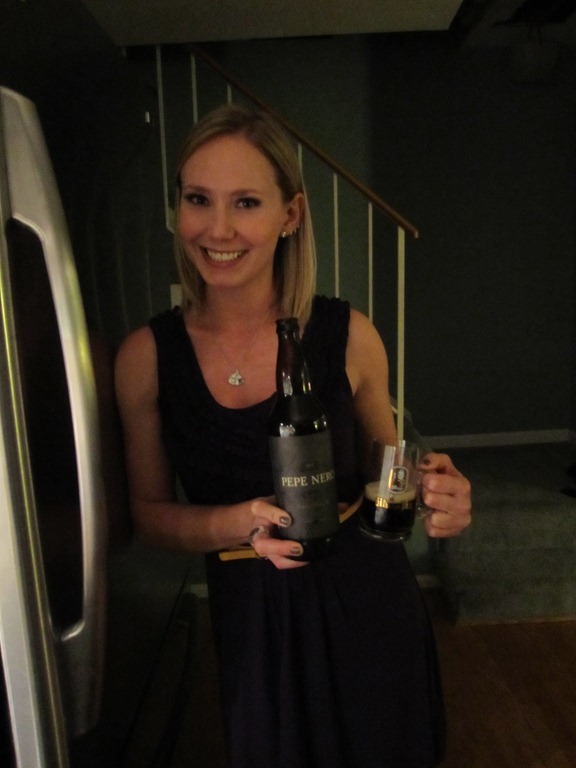 Later in the night, we got to open another beer that Novak brought, the Pepe Nero also by Goose Island of Chicago, IL at 6% abv. This beer is brewed with black peppercorns! It really added to the overall taste. Went well with the roasted malts, light fruit notes, dark chocolate, earthiness. With the night winding down, and some of the ladies leaving, the last few of us decided to go for one more tasting, although we had to fight to finish! 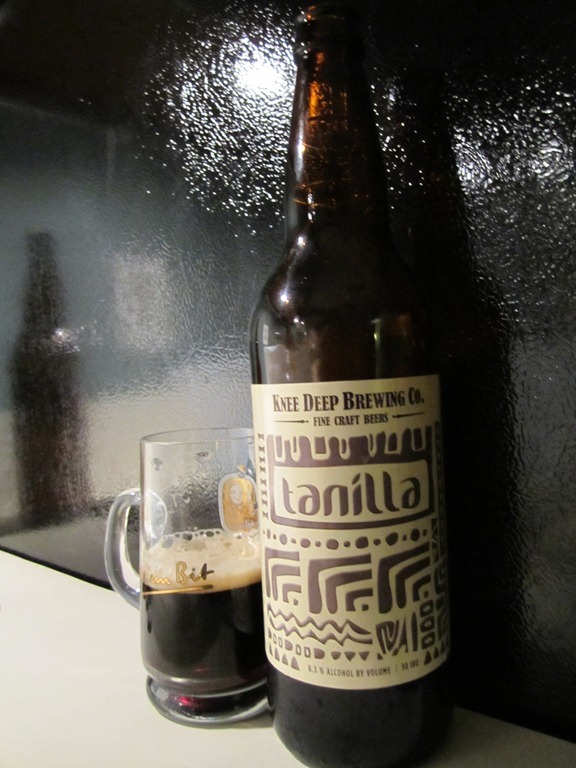 Last but not least we opened the Tanilla Porter by Knee Deep Brewing Company of Lincoln, California at 6.3% abv. This beer is right up my alley. Nothing crazy to sample, just a very good porter. Toasted malts, vanilla, semi-sweet chocolate. Quite smooth, better and better as it warmed up a little. Very pronounced vanilla flavor, somewhat of a dessert beer. 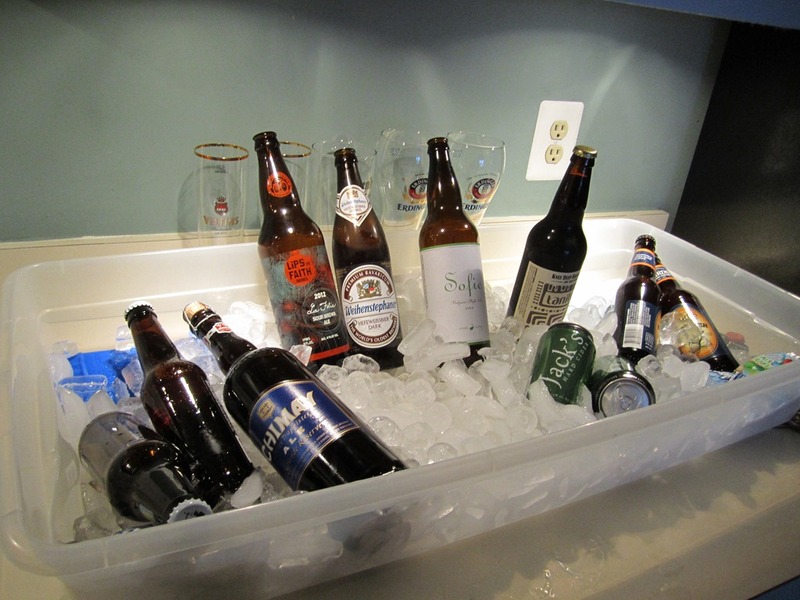 I had to send many of the girls home with beers because I actually had too much beer for the fridge! That’s never something to complain about!